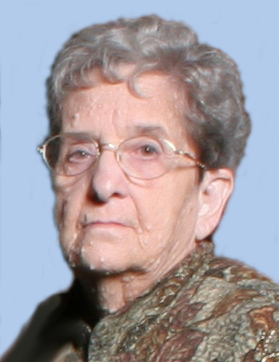 Mary Elizabeth Fish, 79, of Victor, Iowa, passed away on Friday, February 8, 2019 at the Clarissa C. Cook Hospice House in Bettendorf, Iowa. Graveside services will be held at 11:00 a.m. on Saturday, March 9th at Victor Memorial Cemetery. Per Mary’s wishes, there will be no visitation. Memorials may be directed to the Victor Historical Society. Chambers Funeral Home in Eldridge, Iowa is assisting the family with arrangements. Mary was born on January 7, 1940 in Grinnell, Iowa, the daughter of Hollis Emery and Blanche (Reichart) Fish. She was a graduate of Victor High School. Mary worked on the assembly line at Amana Refrigeration in Amana, Iowa. She enjoyed researching family genealogy, and was a member of the Victor Historical Society. Mary was very talented at crocheting, knitting, and sewing. She was also a member of Victor Methodist Church. Those left to honor her memory are her sister-in-law, Mary Fish of Eldridge, Iowa; niece, Kimberly (Andrew) Cronkleton of Donahue, Iowa and their children, Emery Elizabeth and Jacob Benjamin; and nephew, Benjamin Fish of Arvada, Colorado. In addition to her parents, she was preceded in death by two brothers, Hollis “Buck” Fish in 2011, and Charles Fish in infancy.